Microsoft's motion sensor only sold 114,000 units in its first year. Even though the Xbox 360 has sold better in Japan compared to its predecessor, gamers in the island nation generally prefer homegrown consoles like the PS3 and Wii. Microsoft made a huge marketing push to try to win a Japanese audience with Kinect, but, according to results published in this month's issue of Famitsu, the stunts didn't quite work. After a year of sales, Microsoft has only sold 114,000 units in Japan, accounting for about 1 percent of the worldwide Kinect sales of more than 10 million. Perhaps the lack of sales was due to the absence of a "killer-app" for Kinect. The best-selling game in Japan was Kinect Adventures with 114,000 copies sold (because it was the pack-in title, duh) while the next was Forza Motorsport 4 with 24,900 copies. That means less then a quarter of Japan's Kinect owners coughed up the dough for a second game, which is surprising considering their predilection for dancing games. The news isn't all bad for Microsoft though. As of June 2011, only 1.5 million Xbox 360s were sold in Japan in total so having nearly 8 percent of your customers purchase an expensive peripheral is pretty good. In contrast, with 57.5 million Xbox 360s sold around the world and only 10 million Kinect sales (16 percent of Xbox 360 owners have a Kinect), suddenly the percentage sold in Japan is not terrible. Still, the bigwigs in Redmond hoped Kinect would increase their market share in Japan and that clearly hasn't happened. What does Microsoft have to do to break into the Japanese market? 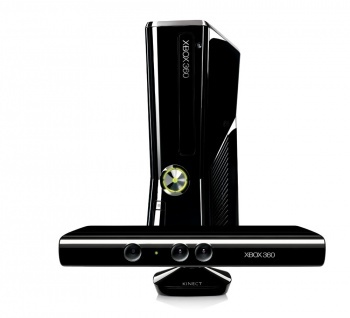 Will the next Kinect bundled with the new Xbox 1492 be able to sway them to an American game-playing machine?